Do you want to stand out once the interview has wrapped up? 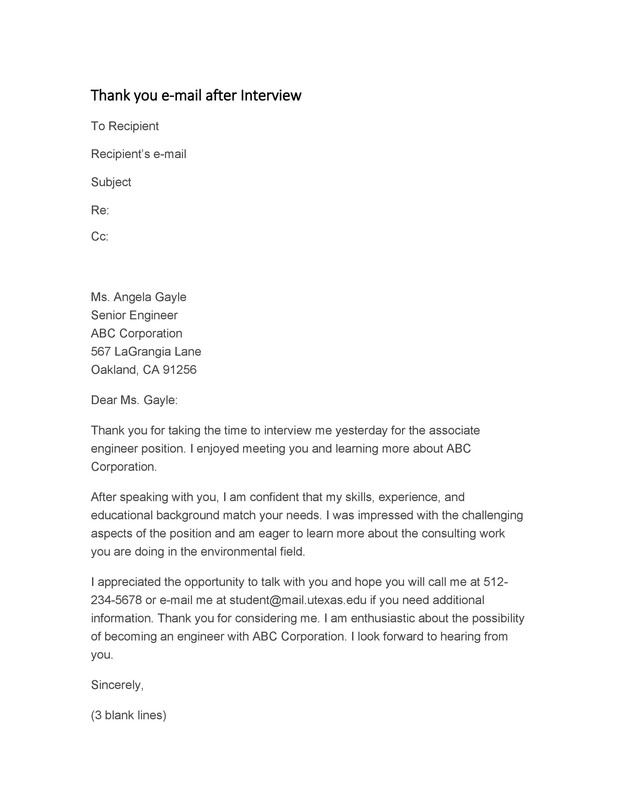 One of the best ways to leave an impression upon the employer and show your gratitude towards the opportunity given, you should send a thank you email after the interview. This gratitude will surely leave a lasting impression upon the employer. 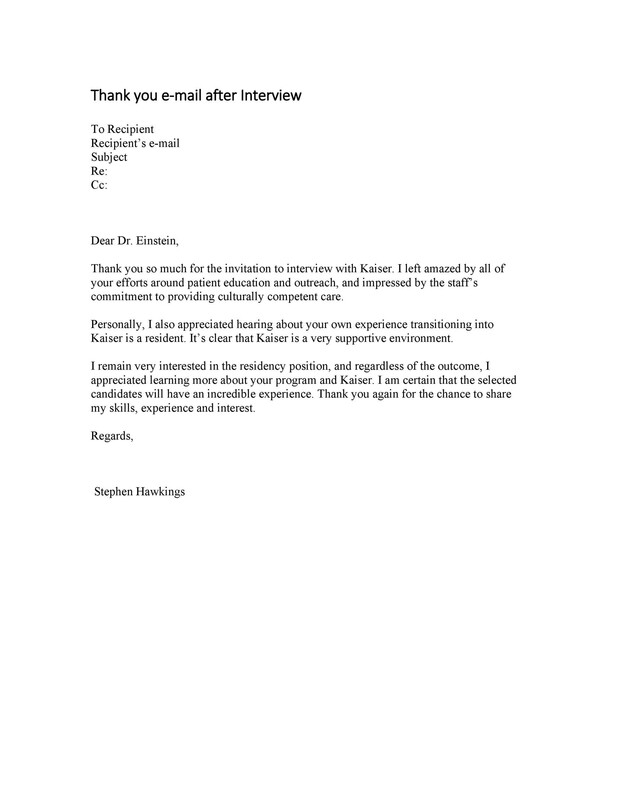 Whether your interview was a killer one or an okayish one, writing a thank you email after interview is always a very good idea. Perhaps, the potential employer may consider you for this fine gesture. 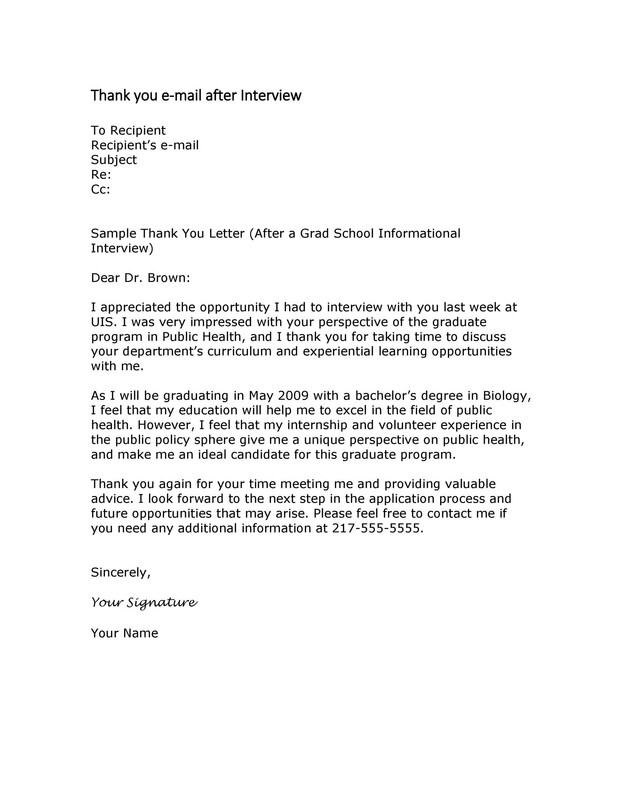 Besides good gesture, sending the thank you email after the interview is essential for several reasons. 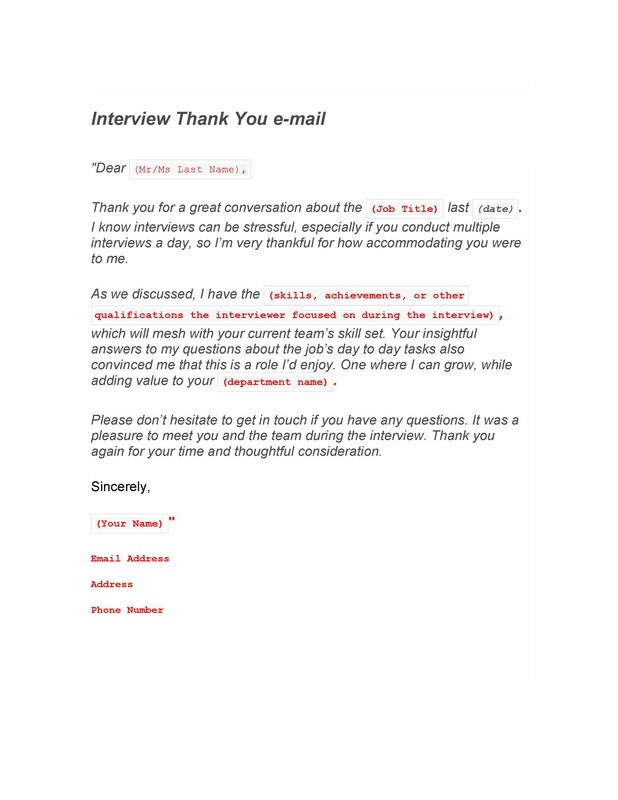 Also, you should thank the interviewer to take out time, posing your image as a thoughtful and professional one. Moreover, you also get a chance to build a stronger image and impression in front of the potential employer. 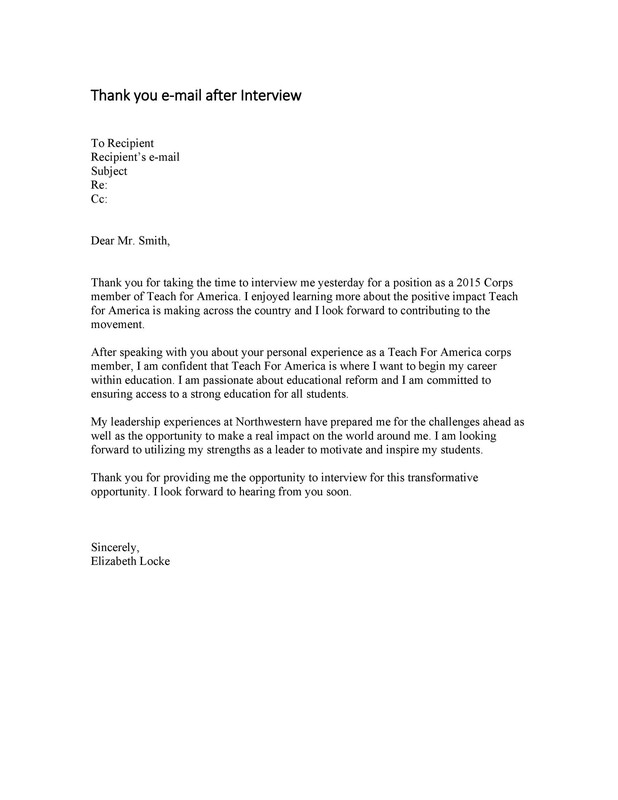 Thank you notes do not just include thank yous, they may also remind them of whom you are and emphasize your strong interest in the position. 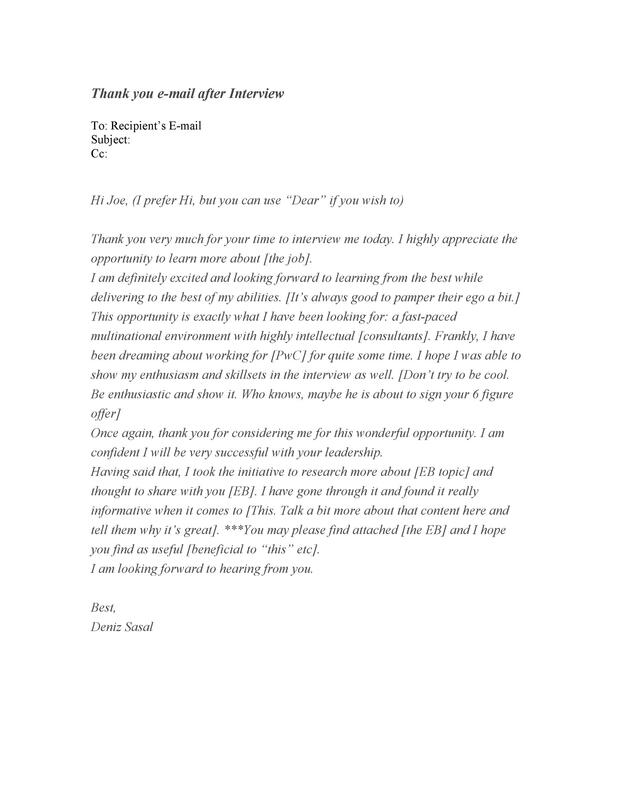 Often, some people are unsure of what to write, when to send and what to include in the thank you email after interview. Therefore, they look up for samples and templates. We have different types of templates available on our main website. 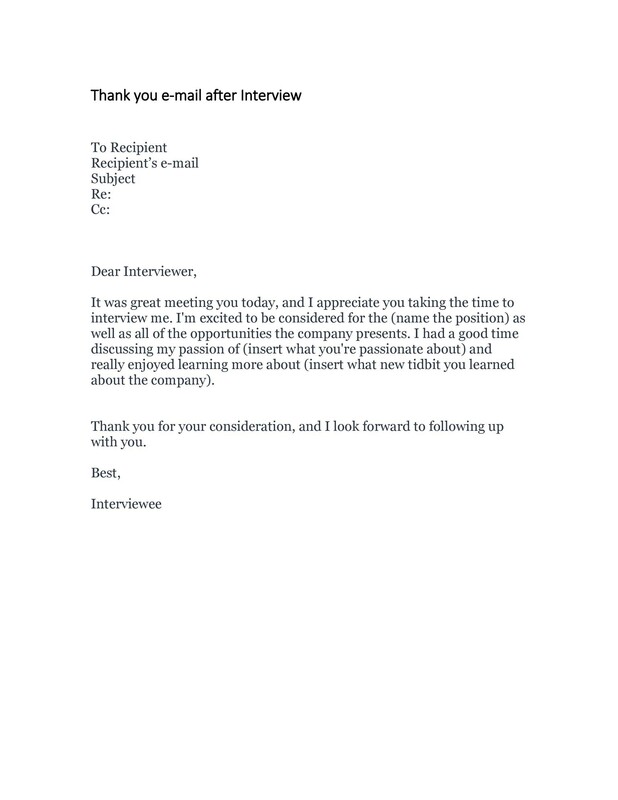 If you want to know about the basics of thank you email after the interview or the telephonic interview, we will help you understand it all in this write-up. 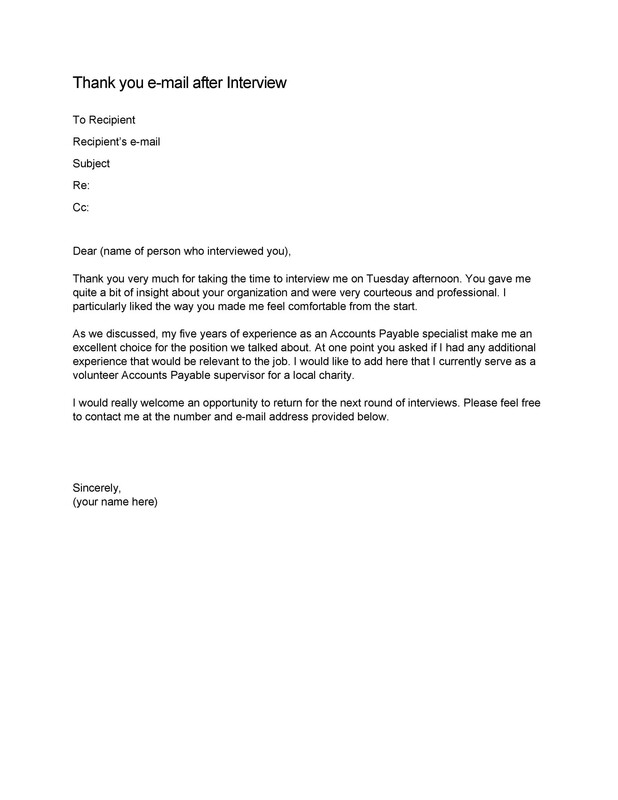 Sending a thank you note or email to the employer is of paramount importance for the candidates. 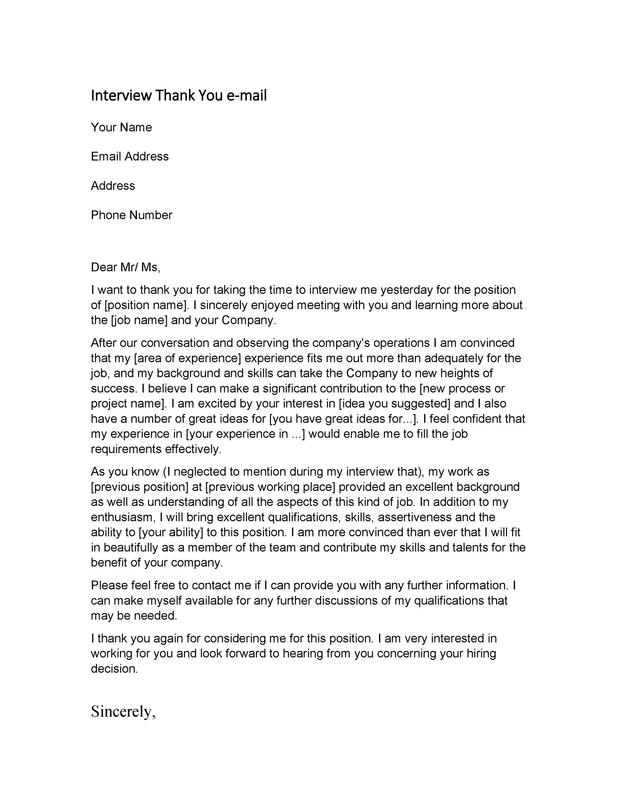 You should thank the person for taking the interview and considering you for the position. 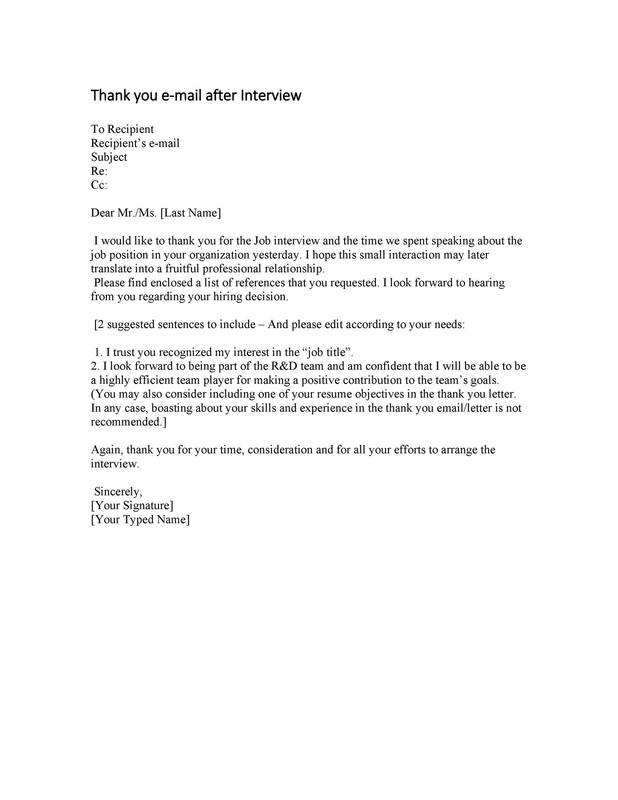 While we are discussing about its importance, there is no doubt that there are a lot of job seekers who think that writing a thank you email after interview or thank you email after phone interview is of no need and is unnecessary. This thought is totally incorrect. 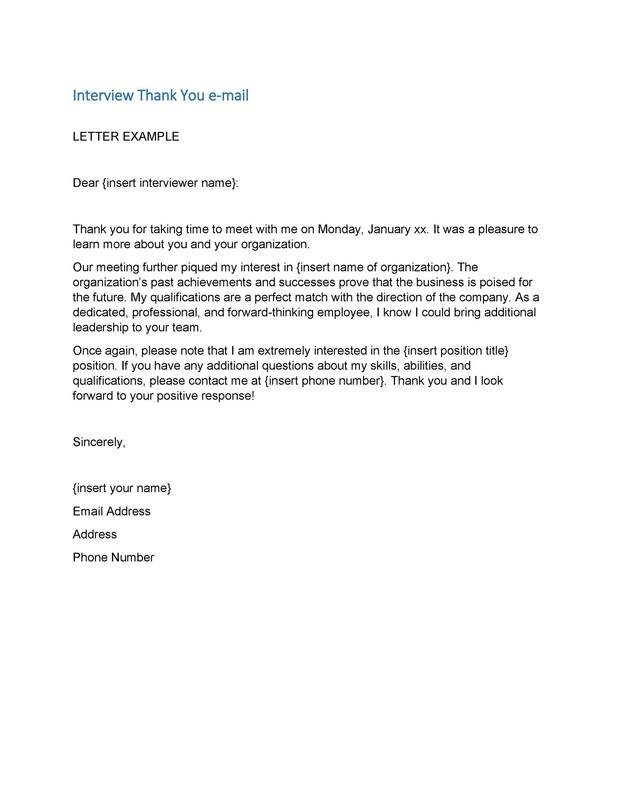 According to research, there are more than 20% employers do not hire candidates who do not send thank you notes or emails to them after the interview. So, as you see, it does matter. 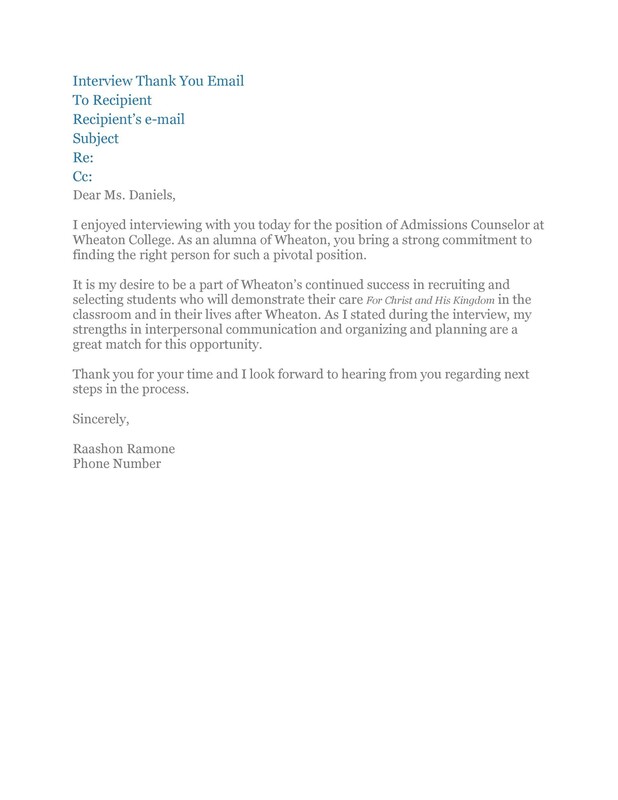 If you are also one of the candidates or find any candidate who do not send a thank you email after interview, make them realize about it. Perhaps, this could be one of the reasons you or they are not getting the job. But sending a thank you note would surely not hurt the chances of getting the job you are looking for. That being said, check out some more reasons highlighting about the importance of the thank you email. 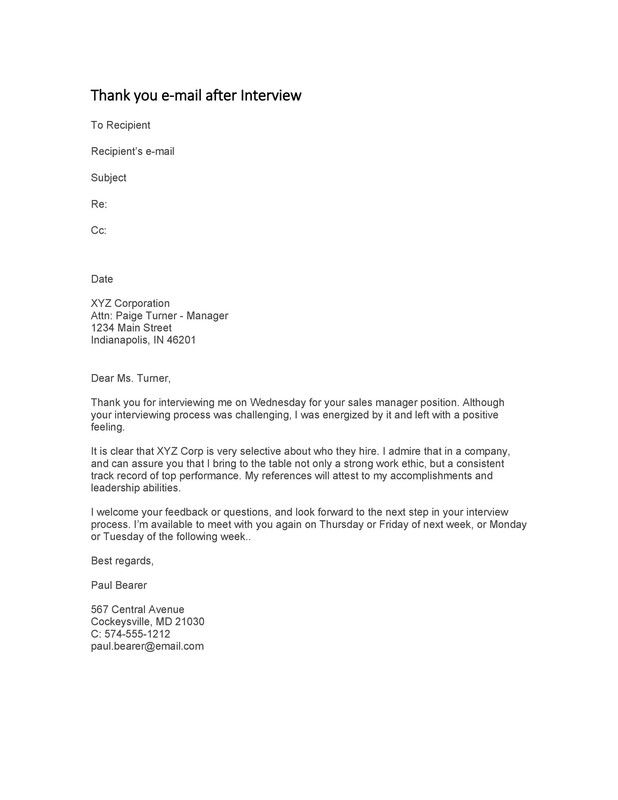 There are many employees that are interviewed by employers and most of them likely do not send a thank you email. By sending a thank you note or email, you are actually promoting yourself as a brand. 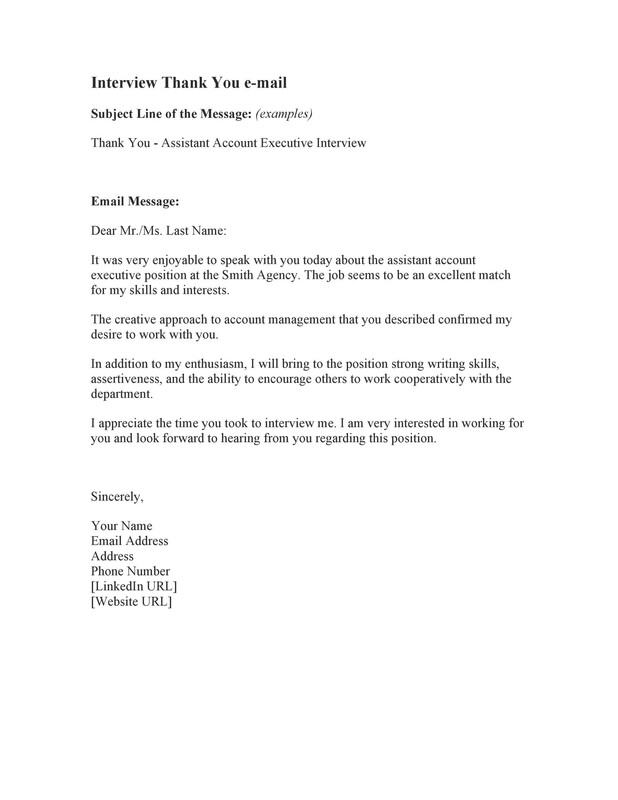 That email or note would not be a copy pasted one; you are going to personalize it and highlight the qualities and things that happened during the interview. For instance, if you made a blunder (that happens with everyone, so it’s okay), you can elaborate about it or if you made an incorrect statement, make sure that you explain the meaning in the correct manner. You are a brand and you should make the employer recognize you as a skilled and the compatible candidate for the job position. If you are able to highlight yourself as the best brand, you will surely form a good image in the mind of the employer. 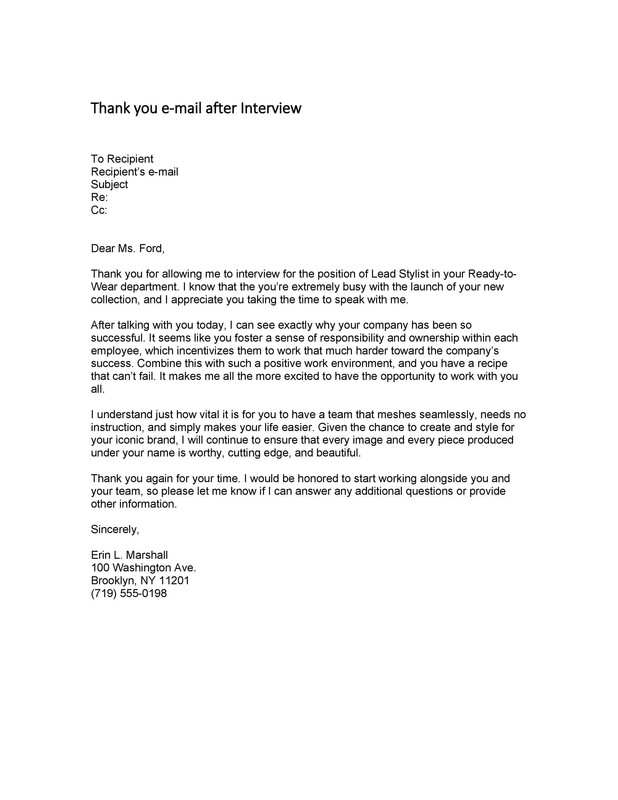 Besides showcasing yourself as a brand, writing a thank you email after interview is also a way to show respect and courtesy. Of course, everyone likes people who are well-mannered and courteous. Additionally, sending a thank you note also reveals that you are also going to be a good co-worker and also show the same courtesy and respect with your team and co-workers. Consequently, this act can multiply your chances of getting the job. When you go for the interview, you meet different people in the workplace such as the receptionist, HR executive, and different people sitting on the interview panel. It is a nice gesture to ask for their visiting card. Taking the visiting card would give you the opportunity to contact them with which you can then send the personalized letter to each one of them. This may take some time, but why not take out some time for a better outcome? When you leave the workplace after the interview, people would talk about you and the team also gives the input. If you do this, you will definitely develop a team of people who will later advocate you for the potential job position. 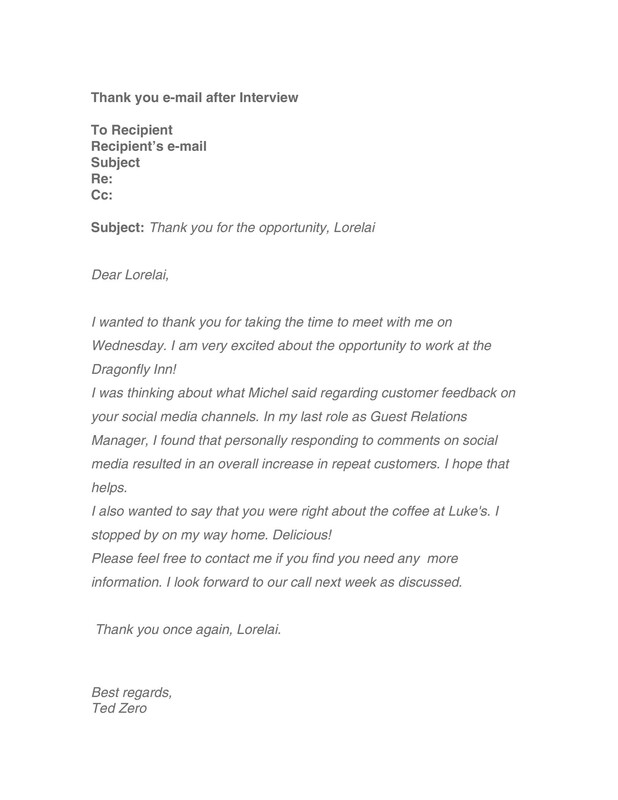 Just like it is good to be social, you should also be sending thank you emails after interview in order to engage with the people you meet in the workplace. 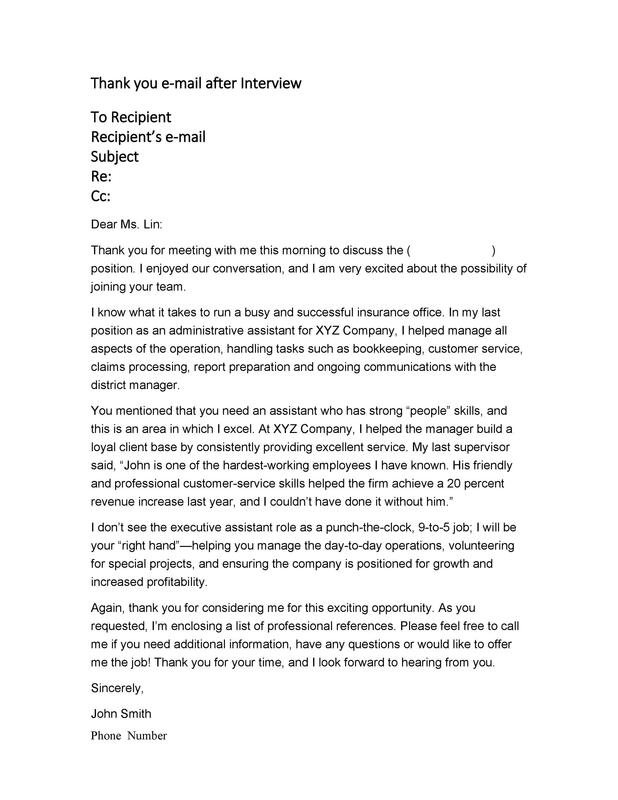 When you send a personalized thank you email to the people working in the workplace, you can also add a statement in it to add them on LinkedIn and stay connected with them. One of the best ways to show professionalism in your thank you email is to add up social media profiles likes so that they just need to click on it and add you to their network. These notes are a wonderful opportunity for all those who want to build-in their social network and a good relationship. Last but not the least, you should always close anything with something memorable, of course a good one. 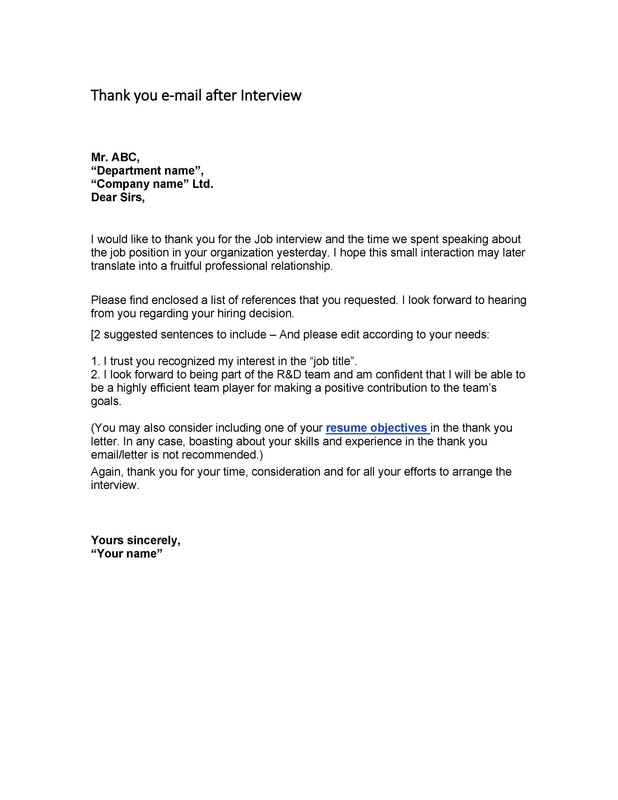 For instance, if you did not give a good reply to a question during the interview, you can always give a good response to it, explaining about it in the email or note. Generally, it permits you to elaborate about something that you could not say or provide information you forgot to share so that it is easier for the employers to consider you while making a decision. You should take benefit of this opportunity to close the interview in the best possible manner, reinforcing the enthusiasm for the potential position. 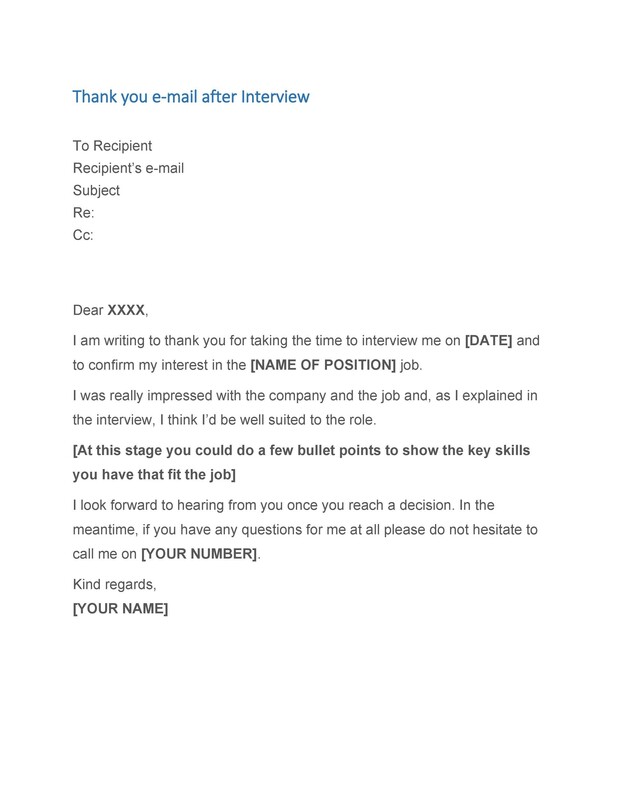 In a nut shell, it can be the best way to close your interview and that you should be chosen. 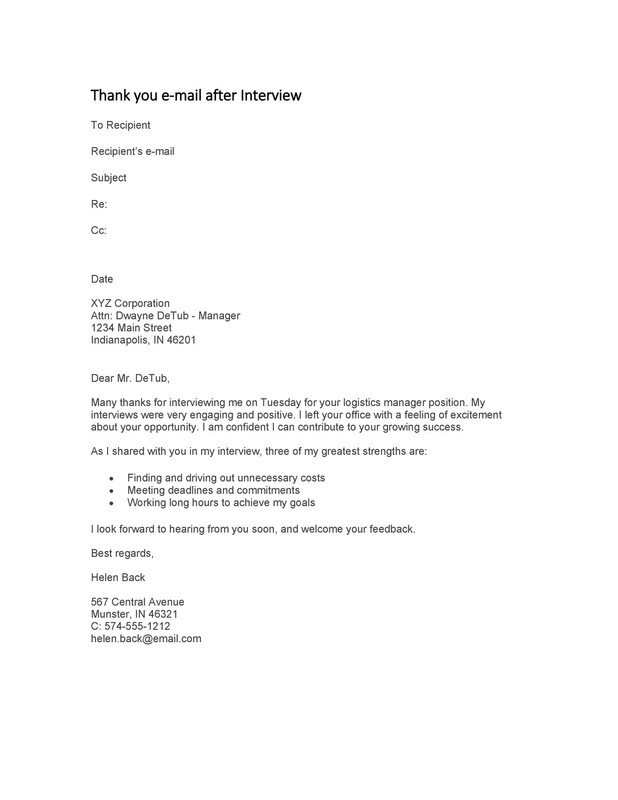 As mentioned above, whether you have came back home after giving interview or received a phone call for the interview, you should send a thank you email for sure. But those job seekers, who understand the importance of sending the thank you email, often think when is the right time to send the interview thank you email to the employer. According to experts, it is necessary to do it right away and there and then. Sending the email right away is necessary and is the right time because the employer likely interviews many candidates and they may forget you. But if you send them the email right away, they will not forget you. Additionally, the employer would have a sharp impression of you in their mind. Also, when you would send the letter right away, they would likely give you the position, but make sure you write an impressive one. To be precise as to when is the right time to send the thank you email, you should send the email or note to the employer within 24 hours of your interview. Now that you know when you should be sending your thank you email after interview, you should also know whom you should be sending it to. 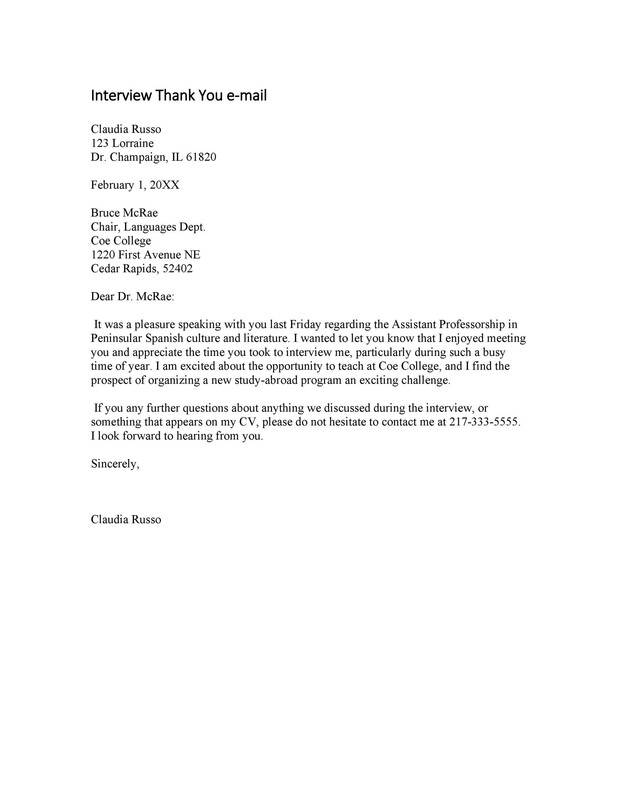 You should send a personalized email to every interviewer sitting on the interview panel and those you met on that day. 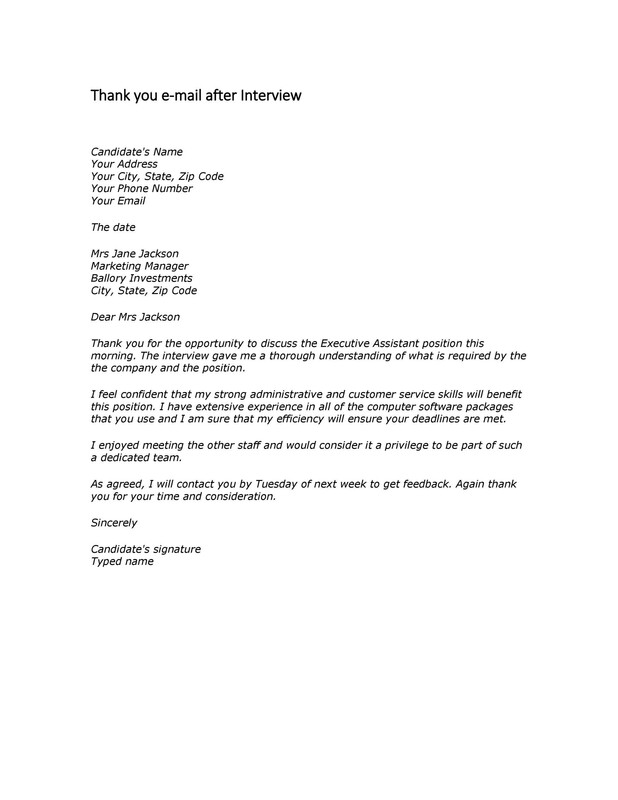 As mentioned above, it is a good way to ask for their visiting cards and send them a personalized thank you email so that they recognize you and definitely consider you for the job. This would also make a strong impression upon them. 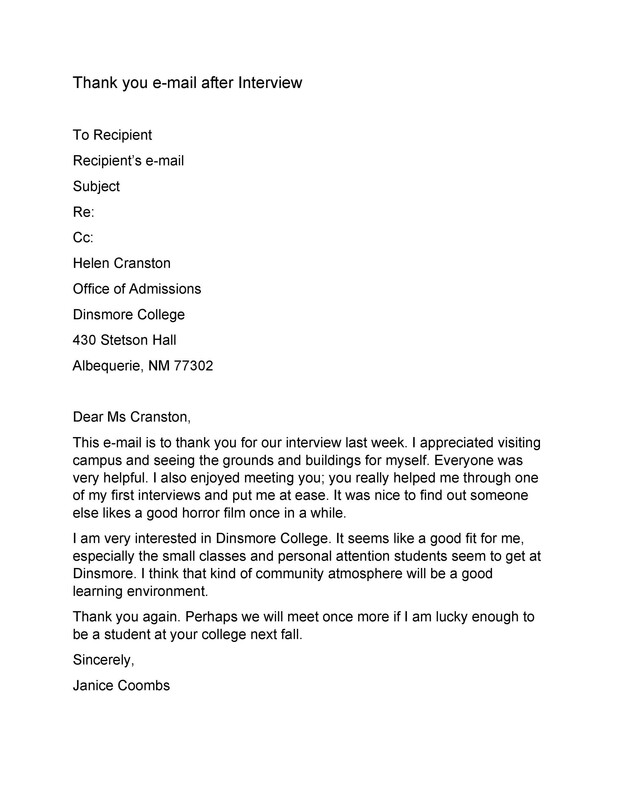 At times, some people also send thank you emails to everyone they met during the interview. 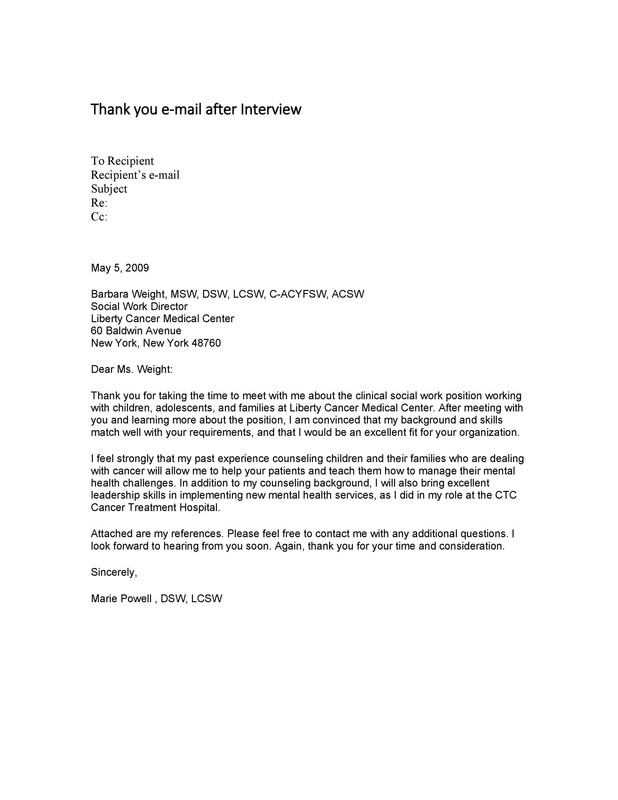 It is not necessary to send the email to each and every single person; you just need to send it to those who interviewed you and the ones with whom you spent a long time talking to. Taking the business card for thank you email, can also help you staying in touch with them in future. 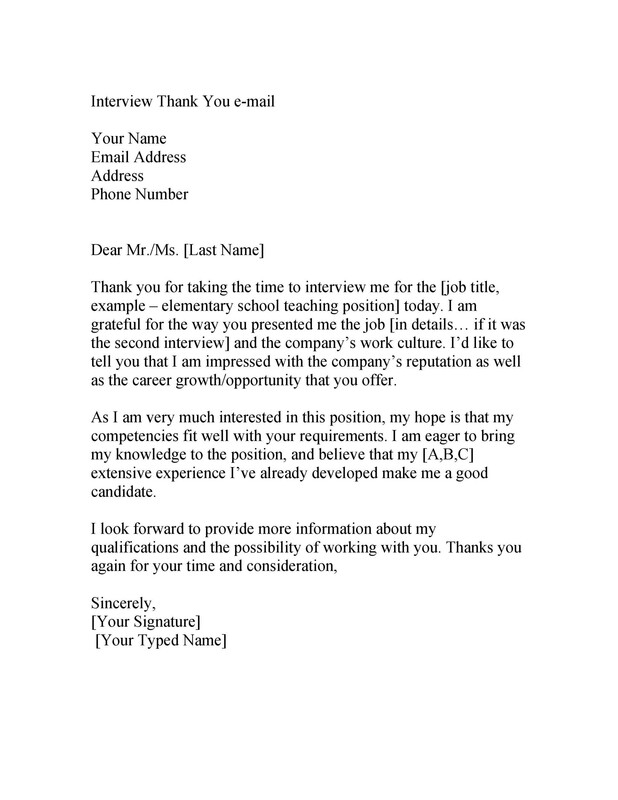 If you were also one of the job seekers who never sent a thank you email to the employer, we hope now you may be convinced to send one to the potential employer. If you want to send one in any time soon and are a novice, then read this section carefully as we will be discussing about what you should include in the thank you email. The first thing you should keep in mind is the length. You should always keep your email short. 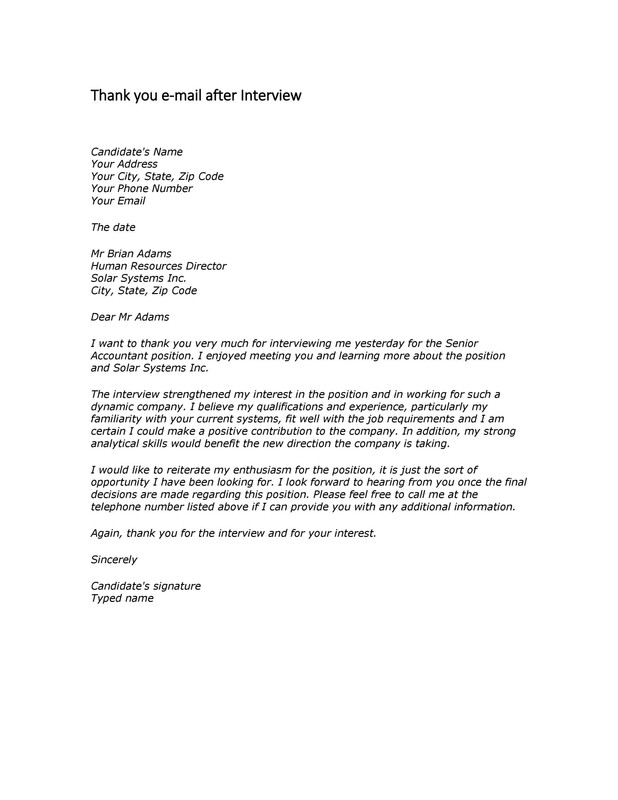 Additionally, you should then thank the interviewer for taking out time for the interview and let them know about how much you are interested in the job position. Also, something (positive) does happen in every interview given by us, so there might be something you would want to mention about in particular. That could be anything thing that make the employer remind you of who you are. But make sure that you make them recall about a positive interaction between you people. Moreover, at times there are certain things that we forget to mention during the interview due to nervousness. You can also write about that piece of information which can also help you determining yourself as a strong candidate. For instance, if you told the employer about how tactfully you can handle stuff, but forgot to mention it in terms of figures. You can tell them about the dozen of projects you have handled letting them know that you do have valuable leadership experience. 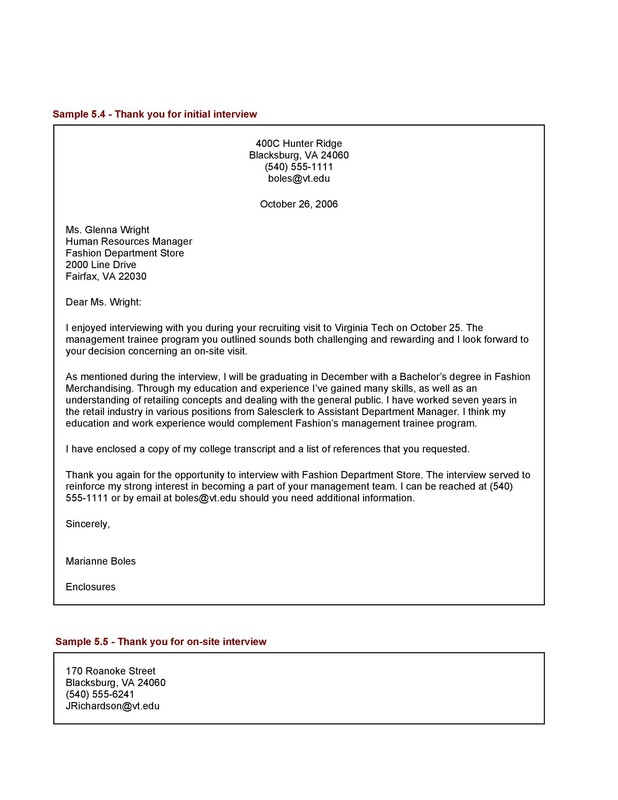 Furthermore, sometimes interviews do not go really well. 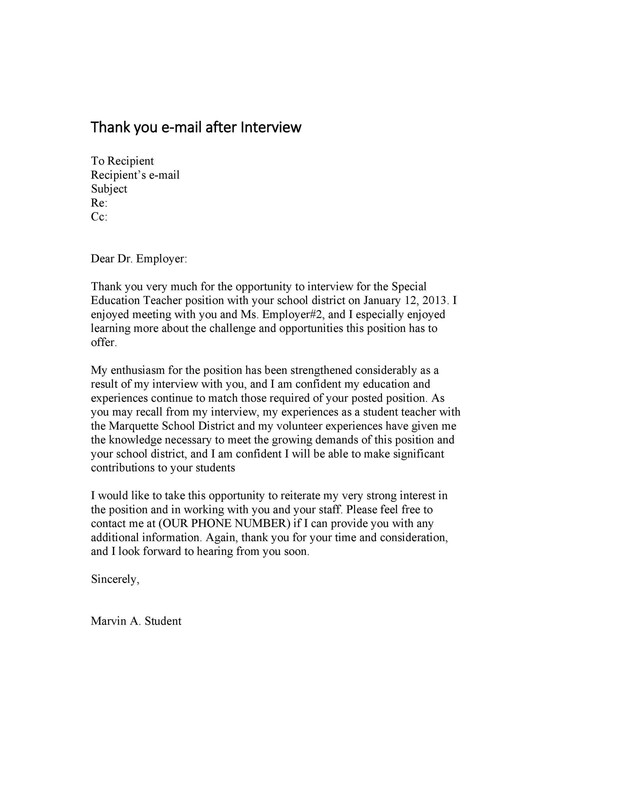 In order to compensate it, a thank you email can help you explain why the position is a good fit for you. 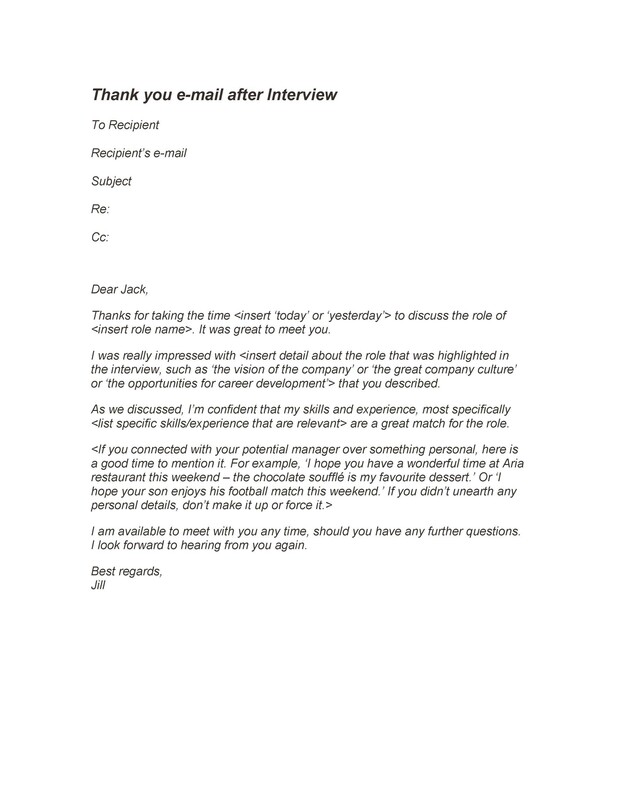 If the luck is yours, then a thank you email can definitely change the mind of the employer, which would be worthy shot. Once you have written it, make sure that you thoroughly edit and review it. Also, you can ask an editor to proofread it so that they can help you come up with a polished and professional thank you email. There are certain mistakes made by novice job seekers, which is hated by the employers. So, let’s understand those red flags and avail the opportunity of getting the job. Gone are the days when companies liked written handwritten letters. You should not go for handwritten letters, emails are a better option and best way to go. Also, a thank you email should be kept short and should not look like a letter otherwise the employers would keep it for later and not probably read it. 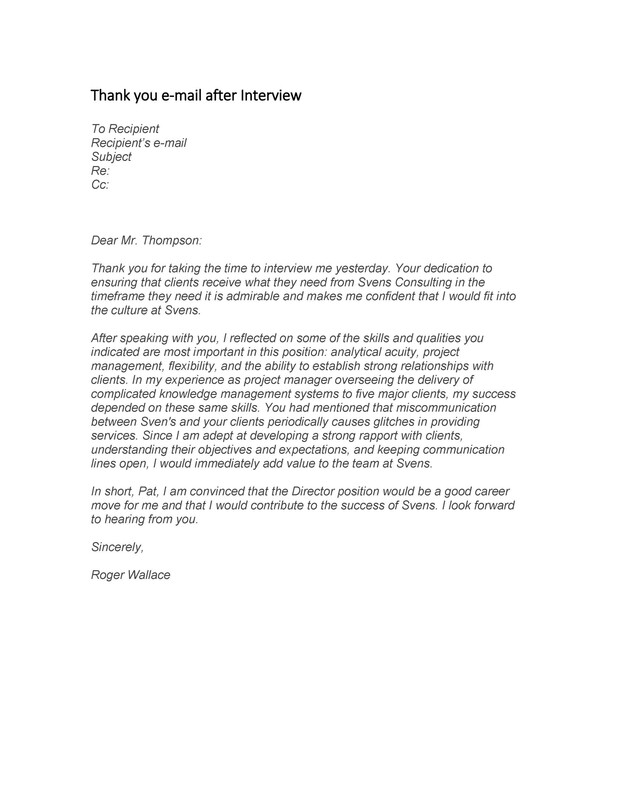 Do you want the employer to read your thank you email quickly? Then, make sure that you make it easier for the employer for reading. Ensure that you do not write big and dense paragraphs. 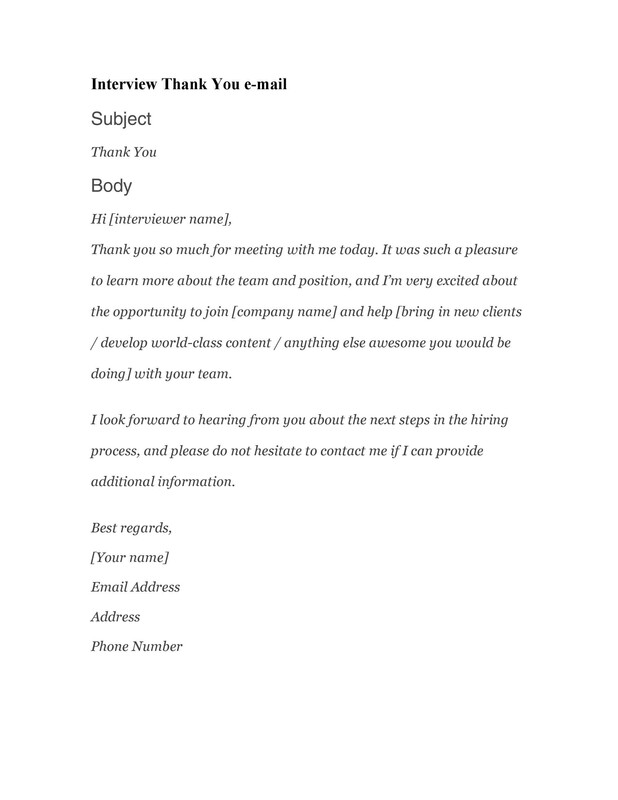 At times, novice job seekers use generic templates for thank you emails. Sending generic would not create the impact which can be created by the tailored ones. 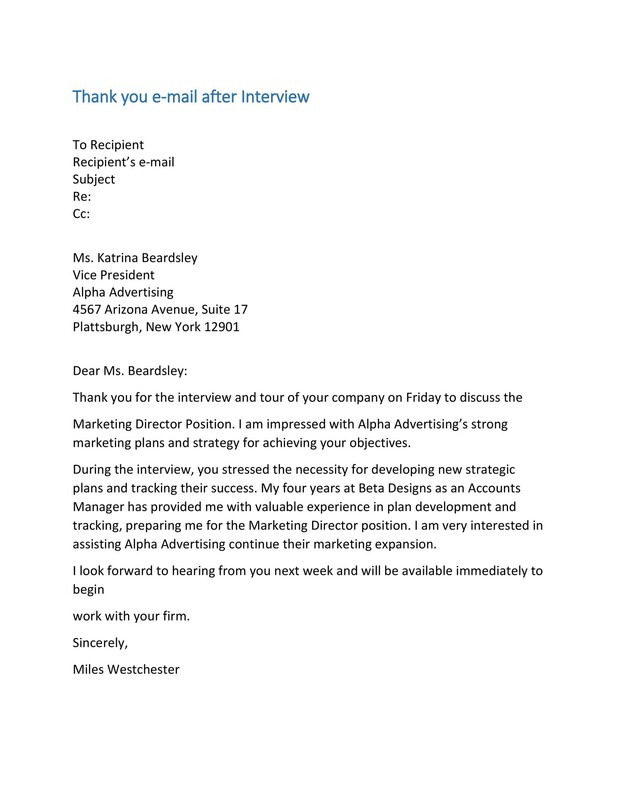 Personalized emails would definitely demonstrate a genuine interest in the position and help you getting it too. 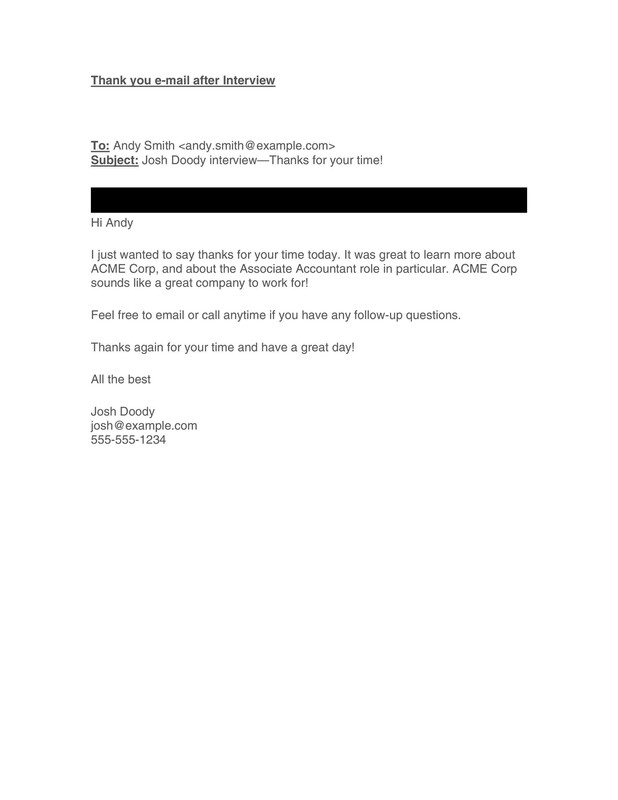 Timing is very important when sending the thank you email to the company. 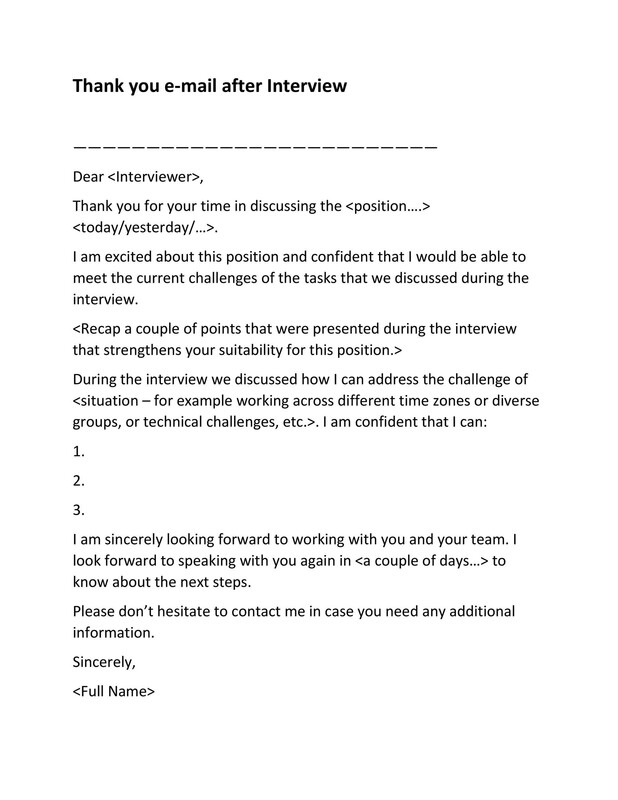 At times, some job seekers send the emails after weeks of interview. You should ensure to send the thank you email within 24 hours maximum for a timely follow-up. 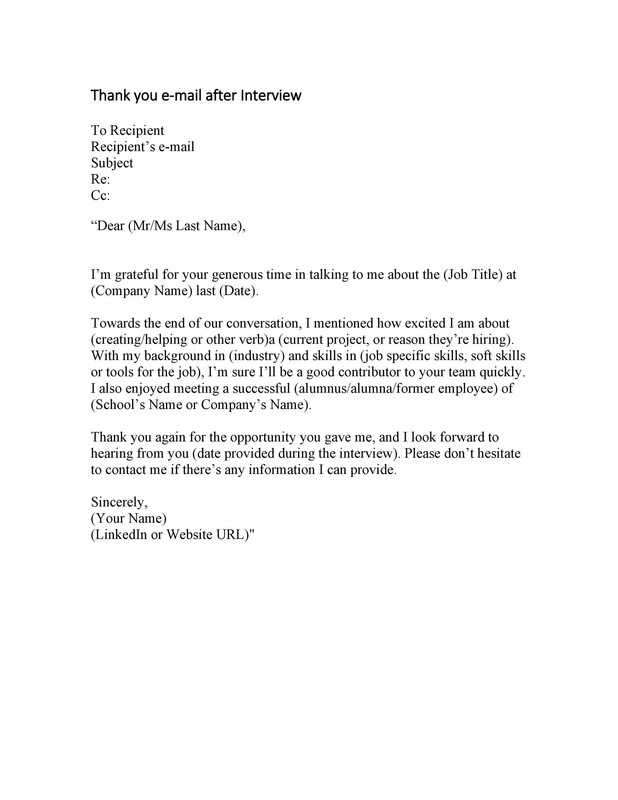 Do you want to send a thank you email to the company? If so, we have several templates and samples for job seekers. 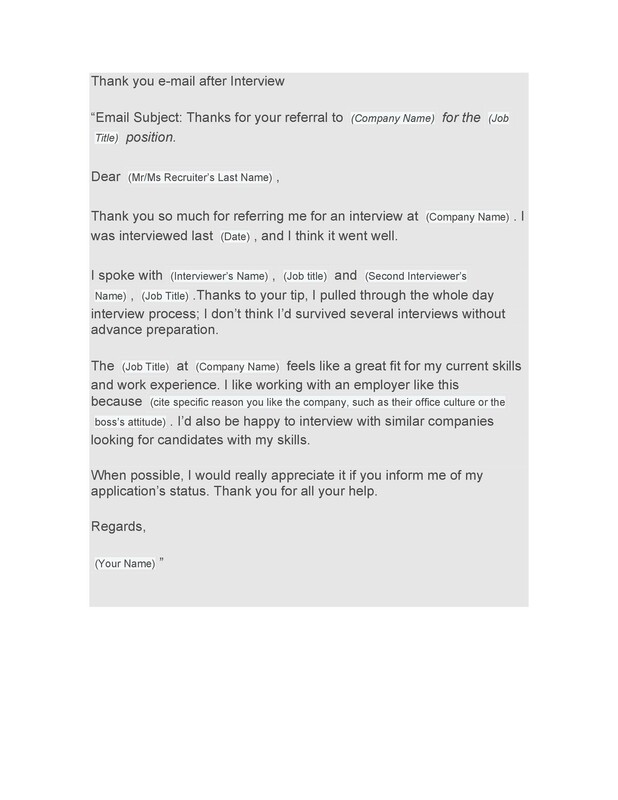 You can simply download the sample thank you email after interview and take help from them to get your dream job. Good luck!